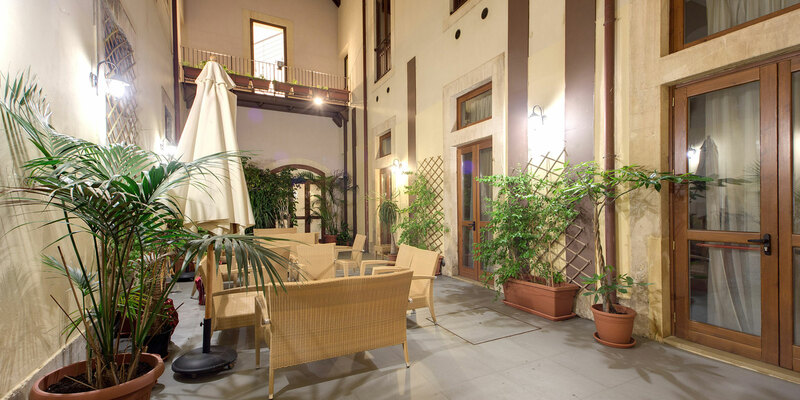 Check our Special Offers page for regular updates on the promotions we have on offer only here on the official website of the Grande Albergo Alfeo. The nucleus of the ancient Greek Corinthian city of Syracuse was located on the small island of Ortygia / Ortigia and this is only around 300 meters from the Grande Albergo Alfeo hotel which equates to around 4-5 minutes on foot. 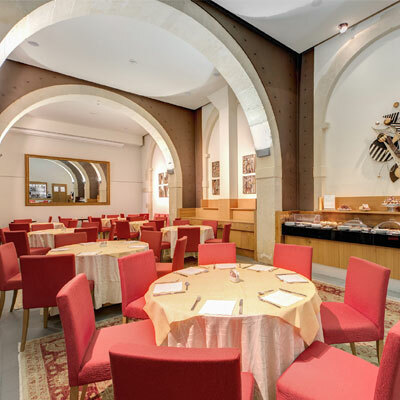 Located in the heart of syracuse both literally and figuratively, this location is steeped in history and culture spanning the three great empires of Greece, Rome and Byzantium. 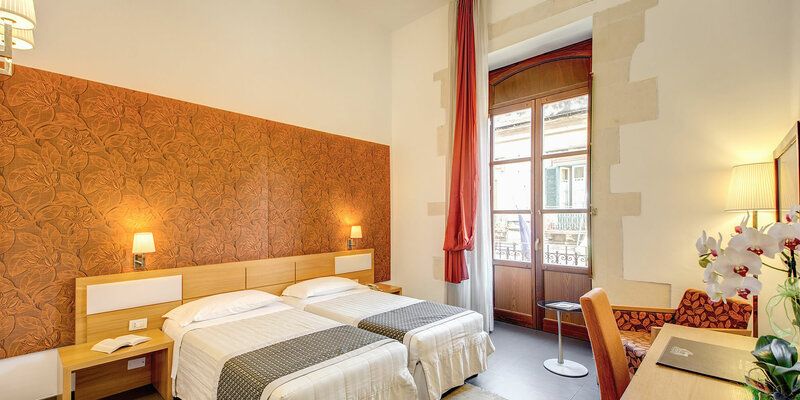 Nearby attractions include the breathtaking marina and harbour overlooked by many of our hotel rooms, the Archaeological Park, the island of Ortygia, the main cathedral of St Lucy and the largest catacombs outside of Rome. Amply endowed with 39 high quality bedrooms, a meeting room, reading room, restaurant and bar, the hotel has spared no expense in its recent renovation to ensure that every modern comfort the guest may desire has been catered for. We offer a buffet breakfast for no extra charge together with services ranging from room cleaning, laundry and dry cleaning, 24hr front desk, Parking in the street where there is white line (cannot be reserved) or 50 meters away is the municipal parking lot with video surveillance pier S. Antonio € 1,00 per hour or € 10.00 per 24h, fax/copier/printing service, airport transfers, babysitting and event booking services. 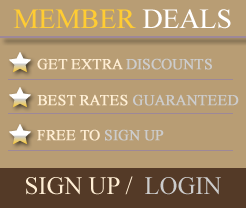 Have a look at our Services page for More in depth information. Organised into 4 different types of accommodation - standard rooms, superior rooms, suites and rooms with fantastic views, together with the choice of single, twin, double and even triple sleeping capacities, this flexibility and choice gives guests the ability to match their preferences and needs to ensure the most comfortable hotel experience. The rooms boast rich colours, lines and fabrics that form a warm and deluxe backdrop to the minimalist furnishing style that seems to whisper luxury and elegance. 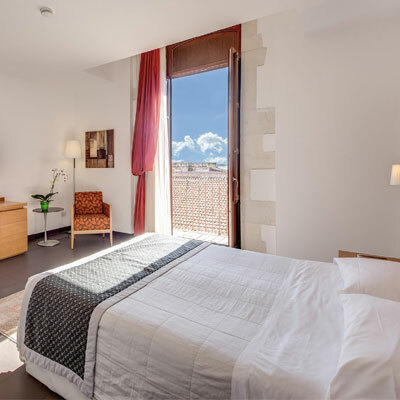 All rooms come as standard with private bathrooms, hairdryer, air-conditioning, double glazed windows, soundproofed doors, Satellite LCD colour TV, electronic safe, mini bar, free Wi-Fi & direct line telephone in addition to a range of services if desired. 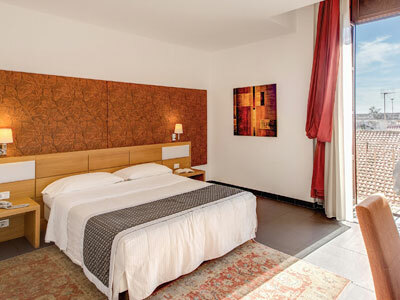 The rooms are also suitable for disabled guests. Check out our Rooms page for more details or our Photo Gallery for a more visual presentation. 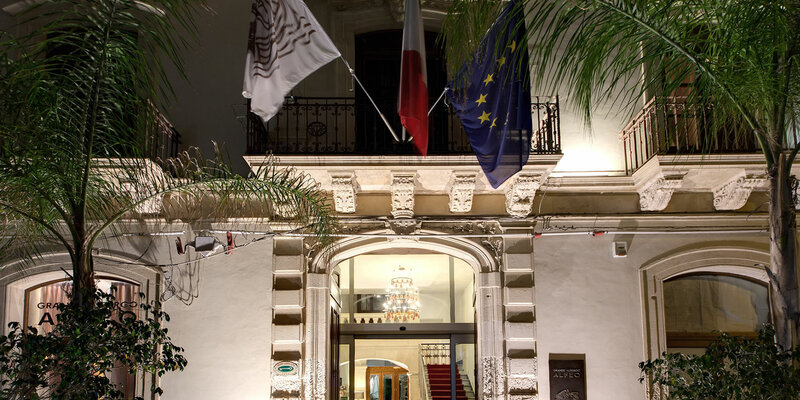 Welcome to Grande Albergo Alfeo, a luxury 4 star hotel near Ortygia in the centre of Syracuse, Sicily. Founded by the Ancient Greek Corinthians in 733BC, Syracuse (or Siracusa to the locals) is an ancient city that Cicero described as 'the most beautiful of them all'. 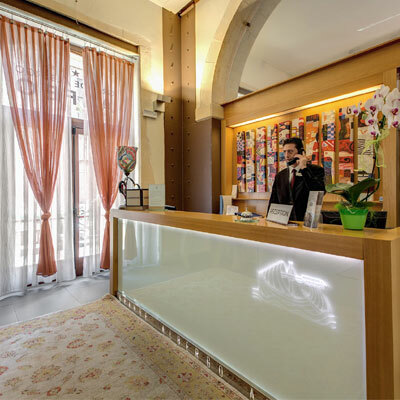 In the very center of Syracuse only 300 meters from the small island of Ortygia / Ortigia, the location of the Grande Albergo Alfeo 4 star hotel places you at the very heart of this rich and fascinating historical city. 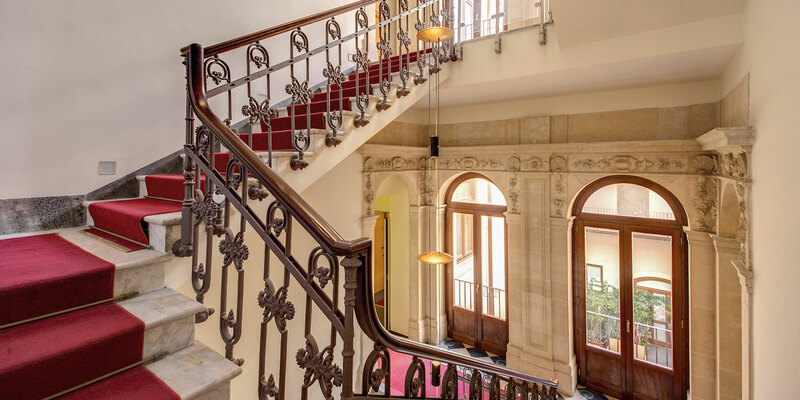 Despite the historicity of the location of the hotel, our 4 star accommodation has recently been totally renovated and refurbished and provides guests with all of the modern conveniences to ensure that your stay in our luxury hotel is as comfortable as possible.